A jazz pianist and composer with strong background in the fields of classical music, music history, harmony and composition, Alessandro Carabelli has over fifteen years experience as a performer in international jazz events. He has collaborated with major jazz musicians (Bob Mover, John Arnold, Gary Windo, Franco Ambrosetti, Franco Cerri, Stefano Bagnoli, Enzo Scoppa, Dodo Goja, Giulio Visibelli, Paolo Pelegatti, Gianni Basso, Fabio Jeger, Tony Arco among them). 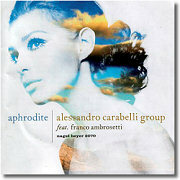 - released CD "Aphrodite" - Alessandro Carabelli Group for Nagel Heyer Records - featuring Franco Ambrosetti: all compositions, arrangement, piano. 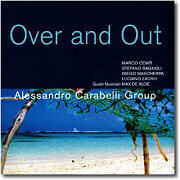 - released CD "Over and out"- Alessandro Carabelli Group for Splasc(h) Records: all compositions, arrangement, piano. - Performer in several international jazz festivals, among which: "Lago Maggiore Jazz Festival" (Italy), "St. Remo in Jazz" (Italy), "Mentone Jazz Festival" (Switzerland), "Jazz a` Monaco" (Principality of Monaco). - Collaboration with major international artists as Franco Ambrosetti, Bob Mover, John Arnold, Gary Windo, Franco Cerri, Enzo Scoppa, Dodo Goya, Giulio Visibelli, Paolo Pelegatti, Marcello Rosa, Gianni Bedori, Gianni Basso, Marco Ratti, Marco Castiglioni, Roberto Piccolo, Massimo Pintori, Tito Mangialajo, Carlo Battisti, Mauro Battisti, Fabio Jeger, Tony Arco, Alfredo Ponissi, Marco Zanoli, Stefano Bagnoli, Marco Conti, Max De Aloe, Diego Mascherpa, Luciano Zadro. 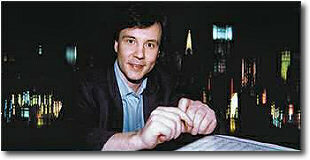 International Competition "Citta` di Stresa" (Italy)- piano improvisation: placed No. 1 in 1992, No. 2 in 1993 and No. 3 in 1988 and 1989. Attendance of seminars in harmony and composition led by major musicians: 1999, Milan- Ennio Morricone; 1997, Arona- Chick Corea; 1989, Milan- Lee Konitz; 1988, Milan- Barney Kessel. "…For one thing, the six innovative and engaging Italian musicians create an airy, open feel; for another, the material, all original is light and lyrical. The 11 tracks are through and through relaxing and thoughtful and full of genial energy. Expect nothing less than consistently delicious music, expertly played. Fighting spirit and sweetness are the most immediate sensations, while listening to "Aphrodite", the latest CD by jazz-man Alessandro Carabelli - the result of a long and complex work, that led the musician to explore different sounds, styles, and artistic experiences. Carabelli skilfully alternates relaxing and peaceful songs – the ideal soundtrack for a night ride – and more impetuous pieces, at times open to external contaminations, at times tightly attached to the purest jazz style, as if he meant to hand on a tradition that doesn't fear evolution, as long as its roots are steady. 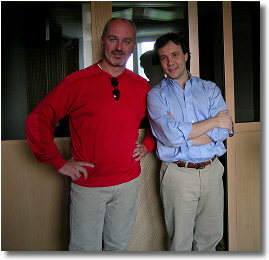 (…) In his latest CD, Carabelli offers eleven songs, and different feelings: as soon as you start getting used to a certain sound, he gracefully leads you somewhere else. You will not find any rifts, or falls, or aggressiveness; only the firm but gentle rush of a wave that caresses, drags away, pushes, and finally shows you the real colors of jazz: blue, black, and sensuous red sparkles. 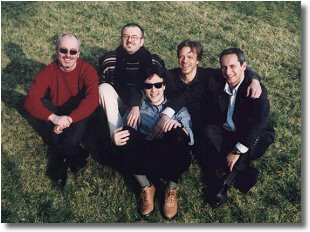 "… Alessandro Carabelli escapes any label or genre. The composition and the performance are elaborate, but the music becomes easy and immediate when you listen to it, whether or not you are inured to this kind of sound". "The strong point of italian jazz in all of its diversity remains in its love of melody and the music of Alessandro Carabelli is fine exemple. 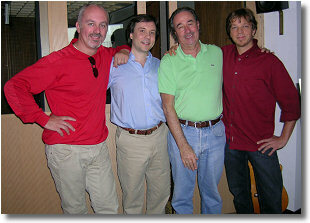 Alessandro Carabelli is a clever and pretty pianist with a great lyrical bent…"
"… Alessandro Carabelli uses a clear and vivid palette of timbres… The communicative effect of Carabelli's songs spread radiant and charming…Carabelli's dynamic and vivacious music runs with graceful simplicity and sparkling freshness…".